As the stock market continues to drop, you may be asking what should I do with my money in a down market? Many small and middle-market companies are asking themselves the same question. With growth prospects shrinking and not likely to improve until after the elections in November, an option that many companies should consider is accelerating their growth through an organized acquisition strategy. One of the few benefits of a down market coupled with low interest rates is the depressed purchase price for acquisitions and low cost of capital. It’s a buyer’s market and you can choose to participate and come out the other end of this downturn bigger, stronger, and better, or you can sit on the sidelines and watch your competition grow. But as attractive as an acquisition strategy may appear, a successful transaction requires careful planning and strong execution. Before you begin looking for companies to acquire, plan out what you are looking to accomplish with an acquisition. Are you looking to grow in your existing market? Will you be taking market share for your existing business? Maybe you want to expand into a new market? Maybe a new product or service? Is there technology that someone else has that would benefit your company? What about people? Are you looking for people who can move into management positions in your company? Opportunism is well and good, but when it comes to acquisitions, a well planned acquisition strategy with clear-cut objectives is much preferred. I recommend engaging a management consultant at this stage to help guide you through the process. An experienced advisor will help you avoid many pitfalls both in the beginning, throughout, and after the transaction closes. Even if you aren’t entirely new to acquisitions, the time factor alone required to execute a successful transaction is enough justification to hire an outside advisor. It’s also at this stage that you will want to address how you will finance an acquisition. Will you be funding the transaction with cash on hand? Or will you need to raise capital? This again is where an experienced advisor can provide alternative scenarios, make recommendations, and utilize their network to assist in securing the necessary capital to fund a transaction. Now that you have created a plan, the next step is to identify viable candidate companies. At this stage, you want to be open to any and all opportunities. In most cases, the best acquisition candidates aren’t officially for sale. As such, you will need to develop a list of companies that meet your acquisition criteria regardless of whether they are for sale or not. Acquisition leads can come from all different areas. Internal sources include your employees, sales team, and suppliers. Accountants, attorneys, and bankers are another good source of leads. Trade show rosters can also help identify companies. And finally, internet research in your industry can uncover companies you may not otherwise know about. Once you have identified a viable acquisition candidate, how do you best approach the company? This again is where an outside consultant can aid in the process. One of the challenges of approaching a company is that often an acquisition candidate is also a competitor. Maybe there is history between the two organizations. Even without history, an owner is often reluctant not only to share information with a competitor but even for the word to get out to the market that s/he is thinking about selling. An adviser can serve as a buffer between the acquirer and the target company, facilitating those early discussions. There is a balance you need to strike regarding the information requested. You don’t want to push a seller too hard for too much information too early in the process. You may wind up pushing them away. Alternatively, you need enough information to determine a reasonable valuation and transaction structure. Just as with the initial approach described above, when you request this information from a potential seller, you are asking the seller to take a leap of faith. So in addition to having a professional advisor representing you, always provide an executed Confidentiality and Nondisclosure Agreement (NDA) along with the initial information request. The NDA states that the information requested will only be used for the purpose of evaluating a potential transaction. As an aside, just as in life, when executing an acquisition, honesty and keeping your word is essential. When you enter discussions with a company owner, you are asking them to share proprietary information. Often a small business has been built from nothing into something of value. The owner is proud and financially dependent on what they have built. They have employees and customers who are dependent on the business. And as such, all business owners are reluctant to do anything to risk or jeopardize the ongoing viability of their business. An NDA can help make an owner more comfortable disclosing their proprietary information, but remember it works both ways. You have an obligation to abide by the terms of the NDA, and you do not break that obligation. Ever. Assuming the target company has expressed interest in moving forward, the next step is to prepare a proposal in the form of a term sheet. This requires using the information gathered from the initial information request as well as interviews with the owner and any other employees you have been given access to prepare a valuation of the business and a proposed transaction structure. The proposal will serve as the basis for negotiations and will usually undergo multiple revisions before both parties agree on final terms. 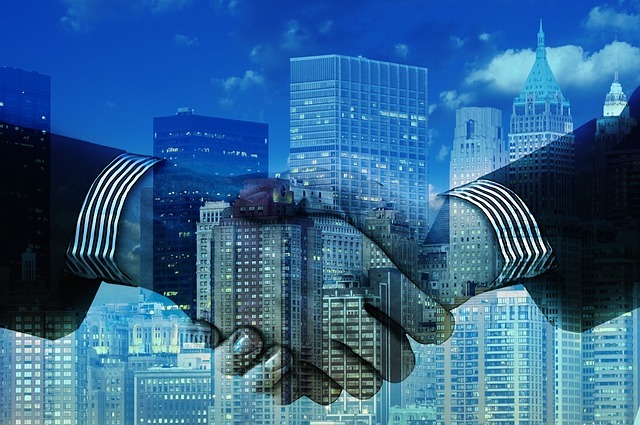 Once terms have been agreed to by both parties, it’s now time to formalize the transaction. The Letter of Intent (LOI) serves as the bridge between the informal term sheet and the final legal documents. The LOI is a legal agreement executed by both parties committing to proceed with a transaction unless something material that was not previously disclosed is discovered during the due diligence review. In exchange for that commitment from the buyer, the seller typically agrees to cease any discussion with other potential buyers. This “no shop clause” allows the buyer time to complete their due diligence review and for both parties to finalize legal documents without interference from outside entities. Central to due diligence is the financial review. Key elements include verifying that the company’s revenue stream ties to the bank accounts, to tax returns, and accurately reflects customer receipts. Financial due diligence also involves reviewing client contracts, receivables, payables, and vendor agreements. In addition to the financial review, due diligence encompasses an analysis of the target company’s market position, customer satisfaction, employment agreements, and insurance policies. Also, you will need to assess any leases, litigation, taxes, and other risks. The importance of a detailed due diligence review cannot be overstated. It’s the last opportunity to confirm that the transaction is everything you expect it will be. A bad acquisition can be difficult to recover from. Some of the best deals are those that didn’t get done. While due diligence is in process, lawyers from both sides will be working furiously to draft, review, and redraft legal documents. Having an attorney experienced with acquisition transactions is imperative. Remember that once a transaction closes, the legal documents will dictate everything. It’s not enough to speak about intentions or what might or might not have been said. Always make sure it’s included in the legal documents. Once the transaction has closed, the newly acquired business must be integrated into the buyer’s business. Integration involves redistribution of management responsibilities, accounting systems, IT systems, office space, and lastly company culture. It’s not uncommon for 80% or more of the acquired company’s employees to leave the combined company within one year of closing due to conflicting company cultures. Making the combined company culture work needs to be a high priority in any acquisition strategy. Integration is where acquisitions succeed or fail. Acquisitions can complement an internal growth strategy adding significant value to the acquiring company. This is especially the case when an acquisition is part of an overall external growth strategy rather than a single opportunistic transaction. But successful transactions require careful planning, attention to detail, and strong execution. And while you should rely on experienced advisors and lawyers, senior management must be engaged and take ownership both during the transaction and throughout integration. By following the above steps, you will ensure a smooth transaction, thereby increasing shareholders’ equity and generating positive return on your investment. In addition to authoring articles on this site, I also provide financial advisory and management consulting services. With over 20 years of acquisitions experience as a consultant, as an internal corporate development executive, and as a business unit leader, I can bring a unique perspective to your company. I would be happy to discuss your individual situation in more detail to determine if I can be of assistance.